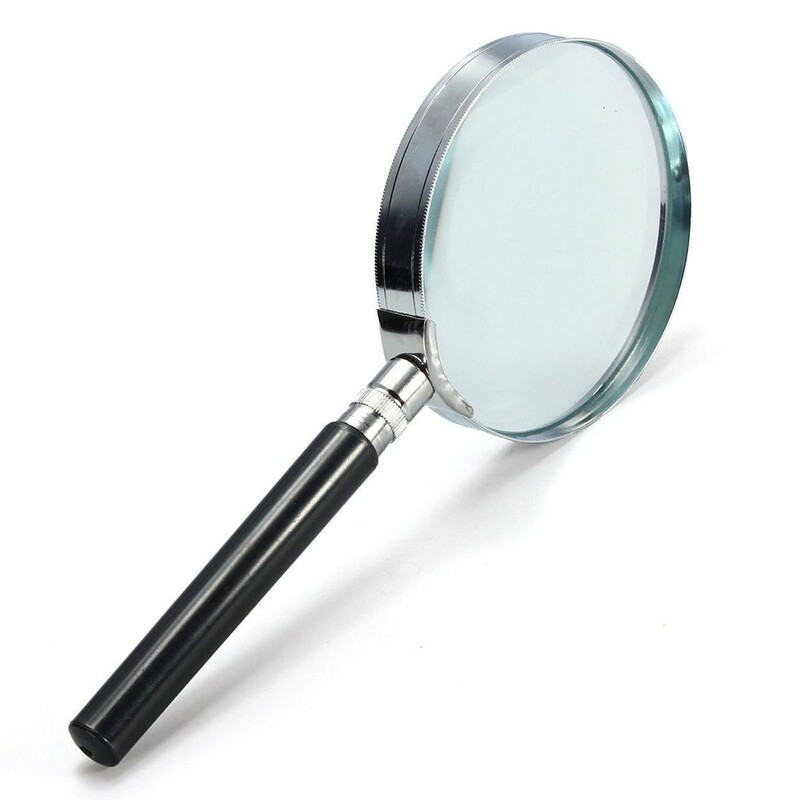 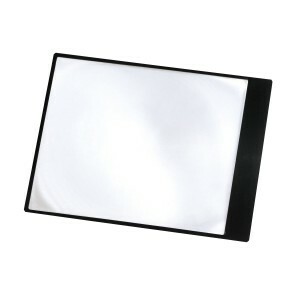 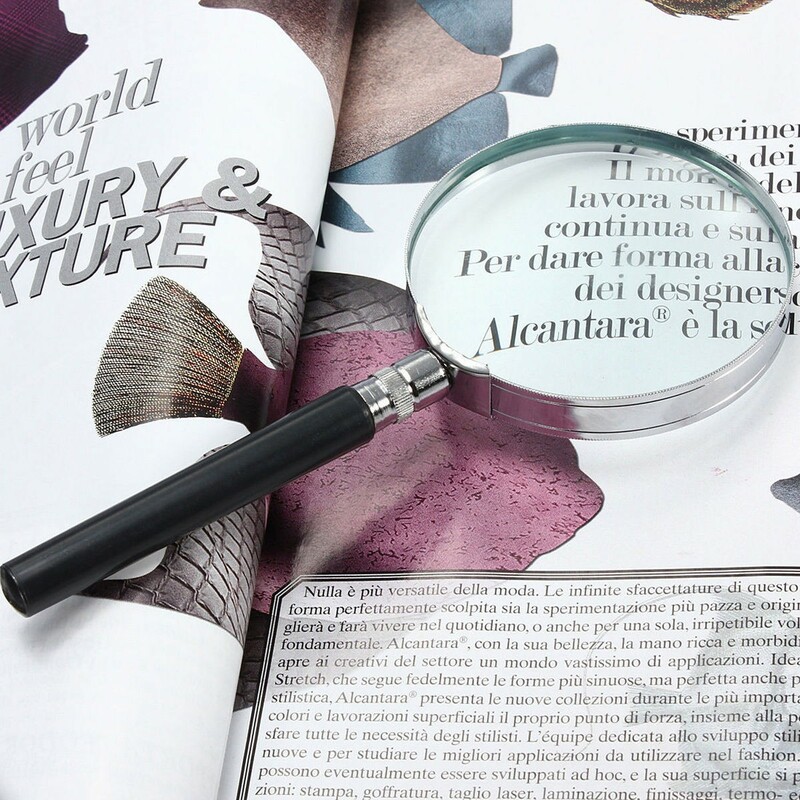 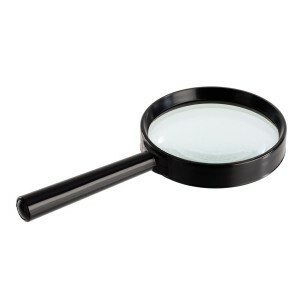 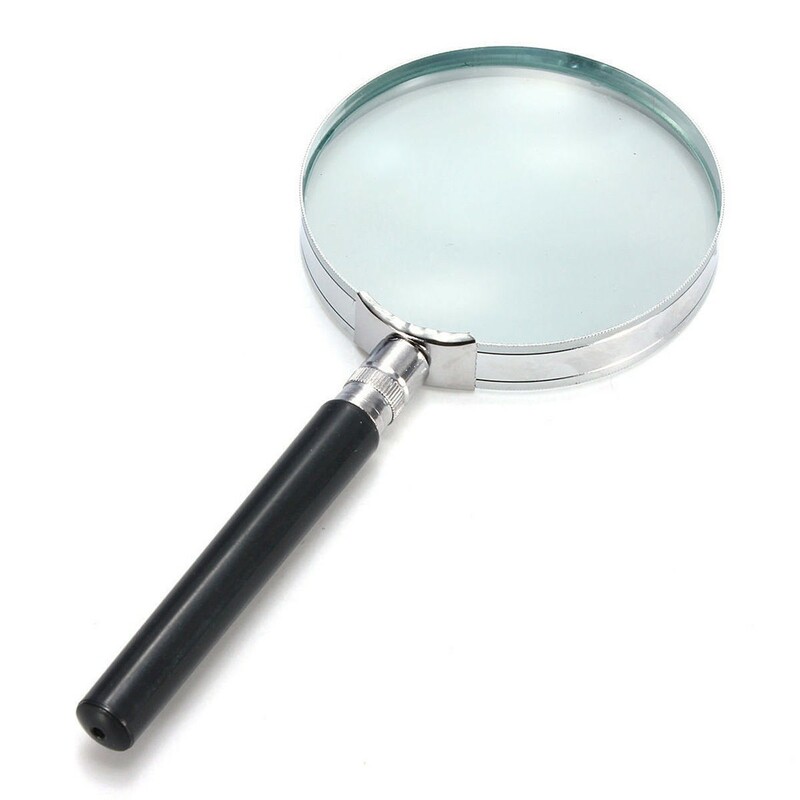 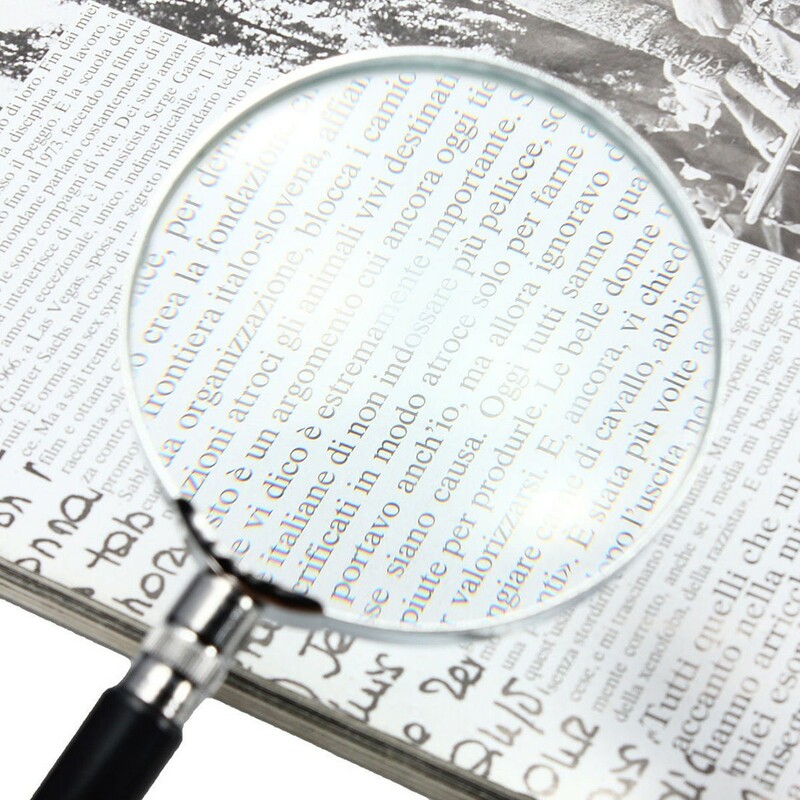 This magnifying glass is made of high optical clarity glass lens and a shiny metal rim. 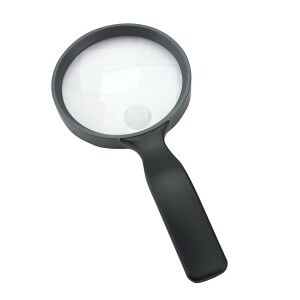 Its precision lens magnifies objects with minimal distortion. 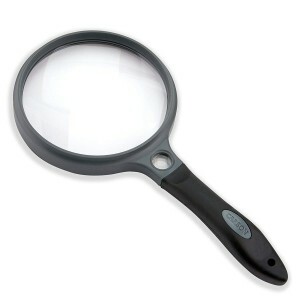 The black handle is spherical and comfortable to hold for long periods of time. 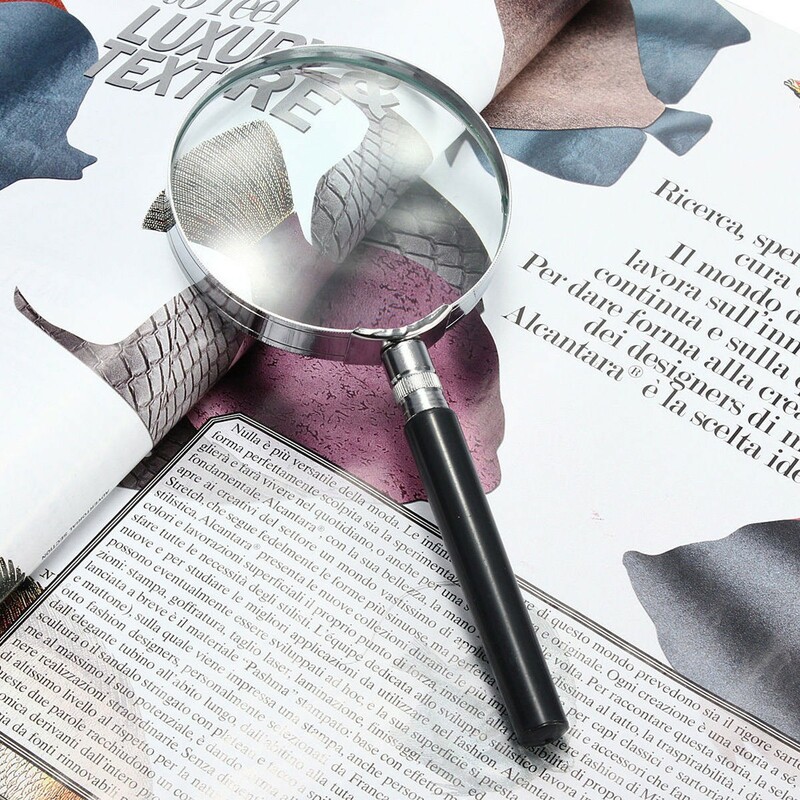 The lens is made of real glass, providing a much clearer image as well as being more resistance to scratches and wear than cheaper plastic lenses. 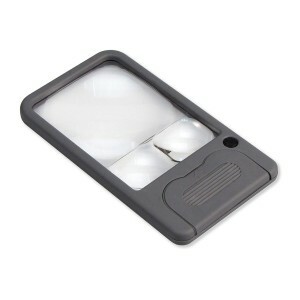 Perfect for reading, stamp collecting, hobbies, etc.